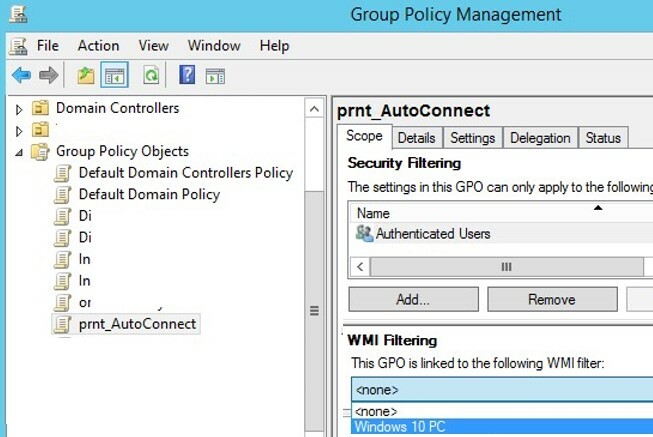 WMI filters in Group Policy (GPO) allow you to more flexibly apply policies to clients by using different rules. 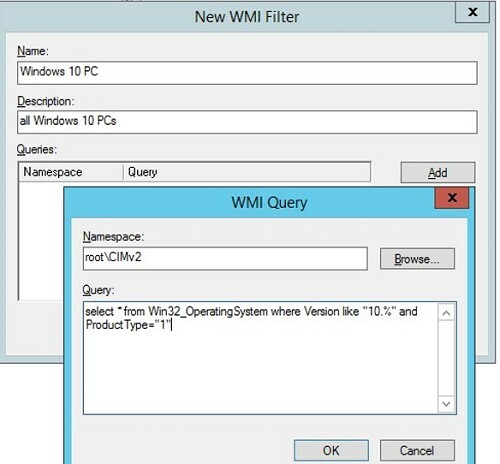 A WMI filter is a set of WMI queries (the WMI Query Language / WQL is used) that you can use to target computers to which a specific group policy should be applied. For example, using the WMI GPO filter, you can apply a policy linked to an OU only to computers running Windows 10 (a policy with such a WMI filter won’t apply to computers with other Windows versions). What are the WMI GPO filters used for? Typically, group policy filtering using WMI (Windows Management Instrumentation) can be used when multiple domain objects (users or computers) are located in the flat AD structure instead of the separate OU, or if you need to apply group policies, according to the OS version, network settings, installed software or any other criteria that can be selected using WMI. 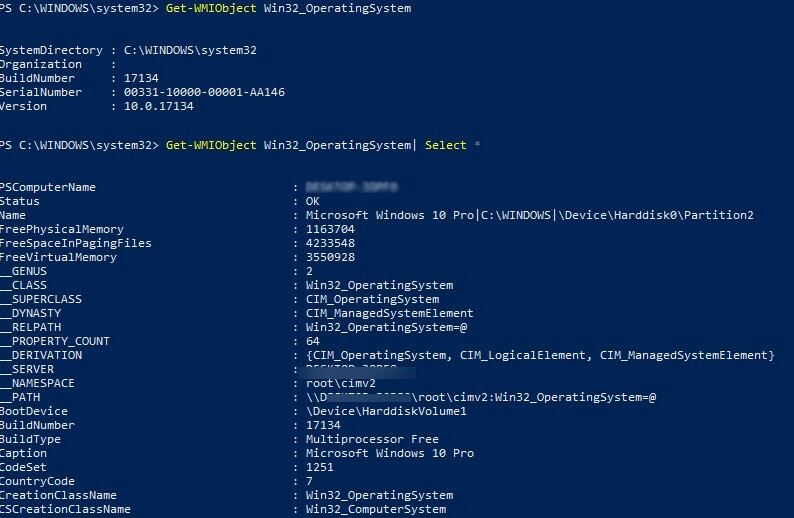 When the client processes such a group policy, Windows will check its state for compliance with the specified WMI query, and if the filter conditions are met, the GPO will be applied to this computer. WMI group policy filters first appeared in Windows XP/Server 2003, and are available up in the latest Windows versions (Windows Server 2019, 2016 and Windows 10, 8.1). To create a new WMI filter, open the Group Policy Management console (gpmc.msc and go to Forest -> Domains -> woshub.com -> WMI Filters. This section contains all WMI filters in tha AD domain. Create a new WMI filter (New). Type the filter name and its description (optional). To add a WMI query code to the filter, click the Add button, specify the name of the WMI namespace (by default, root\CIMv2) and specify the WMI code. 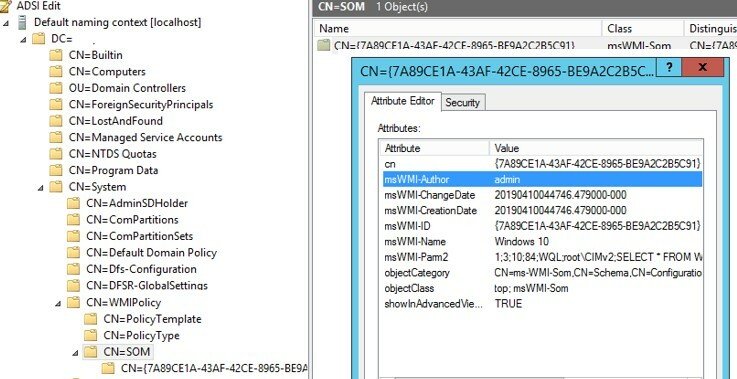 Select * from Win32_OperatingSystem where Version like "10.%" and ProductType="1"
The created WMI filters are stored in the msWMI-Som class objects of the Active Directory domain in the section DC=…, CN=System, CN=WMIPolicy, CN=SOM, you can find and edit them using the adsiedit.msc. After you have created a WMI filter, you can link it to a specific GPO. Find the desired policy in the GPMC console and on the Scope tab, in the WMI Filtering section drop-down list, select your WMI filter. In this example, I want to apply the printer assignment policy only to computers running Windows 10. Wait for this policy to apply to clients, or update it manually with the command gpupdate /force. When analyzing the applied policies on the client, use the gpresult /r command. If the policy affects the client, but doesn’t apply due to the WMI filter restrictions, such a policy will have the status Filtering: Denied (WMI Filter) in the gpresult report. Let’s look at various examples of WMI GPO filters that are most commonly used. select * from Win32_OperatingSystem WHERE Version like "6.3%" AND ProductType="1" AND OSArchitecture = "32-bit"
Select * from Win32_Processor where AddressWidth = "64"
select * from Win32_SystemEnclosure where ChassisTypes = "8" or ChassisTypes = "9" or ChassisTypes = "10" or ChassisTypes = "11" or ChassisTypes = "12" or ChassisTypes = "14" or ChassisTypes = "18" or ChassisTypes = "21"
SELECT path,filename,extension,version FROM CIM_DataFile WHERE path="\\Program Files\\Internet Explorer\\" AND filename="iexplore" AND extension="exe" AND version>"11.0"
If this command returns something, then the computer meets the query conditions. If the get-wmiobject command returns nothing, the computer doesn’t match the WMI filter query. This means that IE 11 is installed on the computer and a GPO with such a WMI filter will be applied to this computer. So, we looked at how to use WMI filters to apply GPOs only to computers that meet the different WMI queries. It is necessary to take into account the presence of WMI filters when analyzing the reasons for which the certain GPO is not applied on the computer. can i make a wmi filter based on the OU or the DN where the computer is located? I need to run bginfo for administrators, but only on servers…. Theres any one how cant help me to deal with my nightmare i been dealing with something like a virus. I been searching and digging into to the computer system and i thing i have some like this everything point to be connected remotely ore aome like that. What cant i do.